Champions League 2018 has been full of surprises so far. First Barcelona got knocked out in the second leg quarterfinal by A.S Roma and now Juventus lost to Real Madrid in a thrilling match. Real Madrid were clear favorites when they stepped out on their home ground against Juventus. Having scored 3 goals in the first leg Madrid, were quite confident that they can secure an easy victory. But, Juventus forward Mario Mandzukic scored inside 2 minutes followed by Blaise Matuidi who scored at the 60th minute to leave Real in a pressure situation. 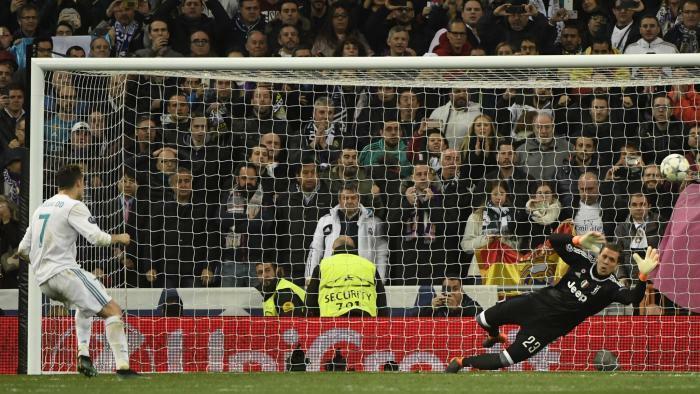 The score was now 3 – 0 with the aggregate being 3 – 3 and Madrid were nowhere near of winning the match. Surprisingly, Real Madrid had dominated the possession in the whole match but could not convert this into goals. Juventus, on the other hand had only 38% possession of the ball but managed to score three goals out of it. The match was coming to an end and Juventus Fans were sensing a similar upset as A.S Roma did to Barcelona a day ago. But, in a tragic turn of events Juventus got a yellow card in the goal box and Juve’s goal keeper got a red card when he argued with the referee. Juventus, who were hoping for a penalty shootout a minute ago were now facing the Champions League boss the one and only Cristiano Ronaldo. If Ronaldo missed there would have been a penalty shootout between the teams. But, Cristiano was not going to miss this golden chance as he struck a powerful hit in the box to propel Real Madrid into the semi-finals. After the match there were rants on social media by the Juventus fans claiming that the foul was given unnecessarily. Nevertheless, Real Madrid will take this victory any day as their savior Ronaldo won them the match.